Paramount plus cinema chairs are the perfect electric recliner seats to create the ultimate cinema experience in your own home. 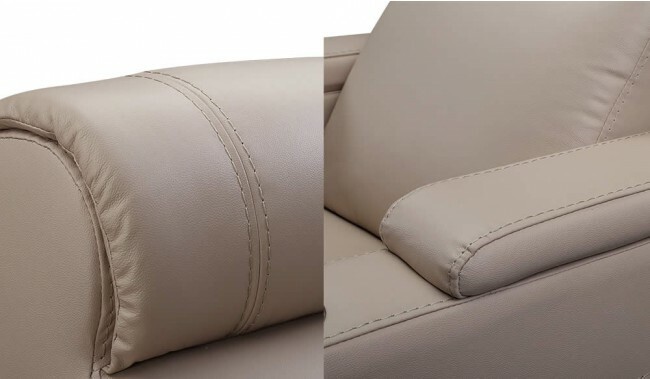 All chairs feature a full electric reclining function, cup holders and premium top grain leather including the foot plate. Available in 12 leather colour options and multiple seating configurations. 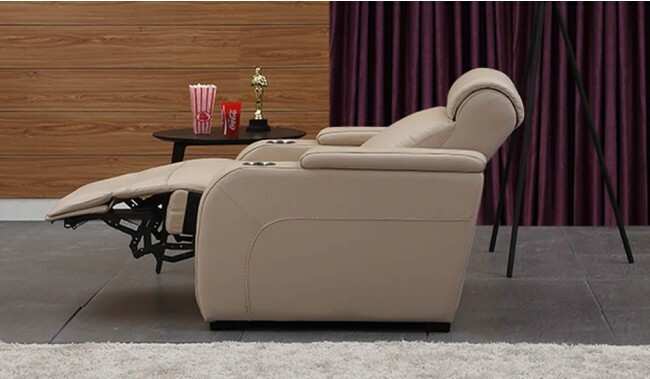 This is the Plus version of Paramount Cinema Seating which is the same units however with stainless steel cup holder and small incidental matching steel colour controls for the recline function. This is perfect for lighter colour finishes as the steel finish works very well with grey or lighter shades of leather colour finish. Frame: solid wood and plywood, glued screwed and re-enforced at all structural areas- Free 10 Year Guarantee. Please retain packaging until entirely happy. 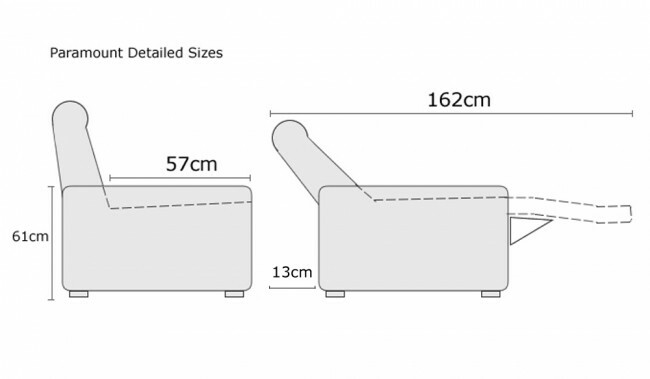 Carton Sizes: 1 x 107 x 95 x 65cm, 2 x 96 x 78 x 63cm & 3 x 78 x 38 x 59cm - 6pcs.